A CV can only tell you so much. 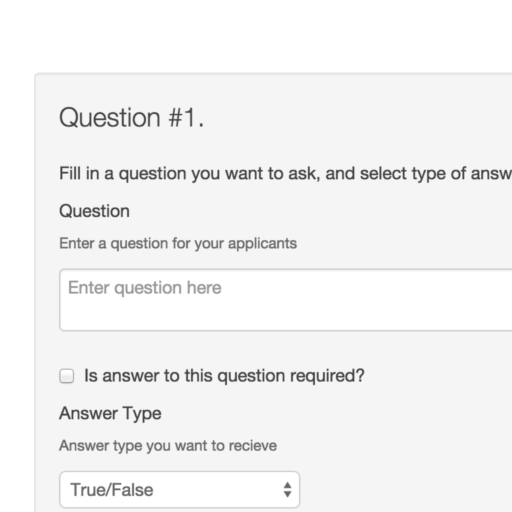 Get to know each applicant better by asking interesting and relevant questions. Workbase empowers you to ask the important questions with our easy to use Application Form Builder. Receive the answer in a format that you want. 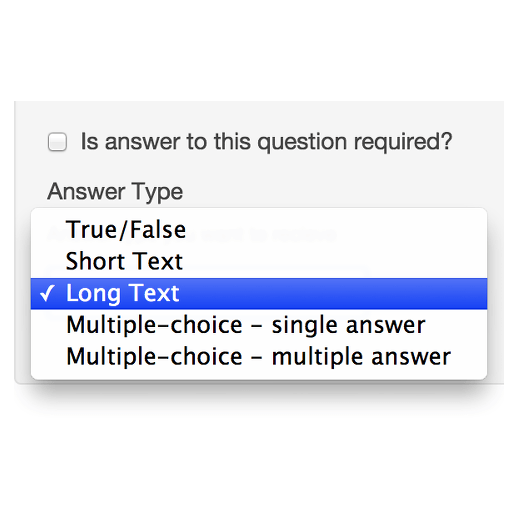 Short-text, Long-text, Multiple choice - single answer, Multiple-choice - multi-answer, True/False, required/not required. Workbase gives you the flexibility to receive your answers just how you want them. Unlike other application form builder out there, we don't limit the number of questions you can ask. Just ask as many or as little as suits that job vacancy. 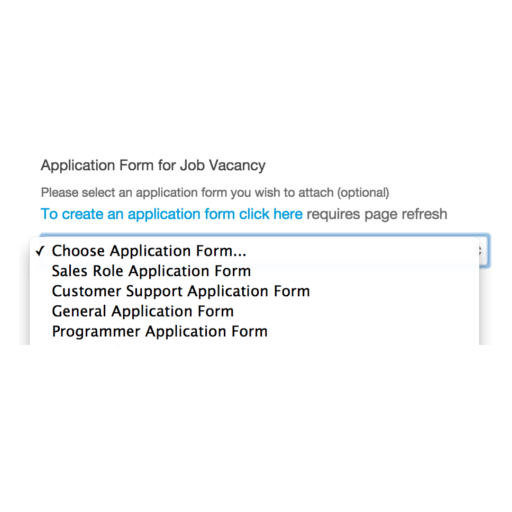 Create an application form specific for each role, or just have a universal one. Either way, once you have built your application form with Workbase you can embed into any job at any time.